Welcome to my Go Programming Tutorial. 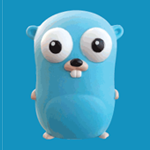 Go provides the best of both worlds by striking a balance between dynamic and statically compiled languages. The code is easy to read. The specification is short, but even so it includes a built in web server! Go makes setting up an app easy and here I’ll cover the basic syntax of the whole language. A cheat sheet with all of the code follows the video below. var myName string = "Derek Banas"